Why is Electrical Maintenance Important for your Business? There is no better way to ensure the integrity of your electrical systems than by performing routine maintenance. Regular service of your electrical components means keeping more severe and costly issues at bay. It’s the best way to prevent unnecessary headaches and setbacks for yourself and your business. When everything is running smoothly, you want to make sure it stays that way. Markey Electric and Solar offer a series of preventative and maintenance measures so that your electrical systems remain in good condition. We bring our years of technical knowledge and experience to the field. 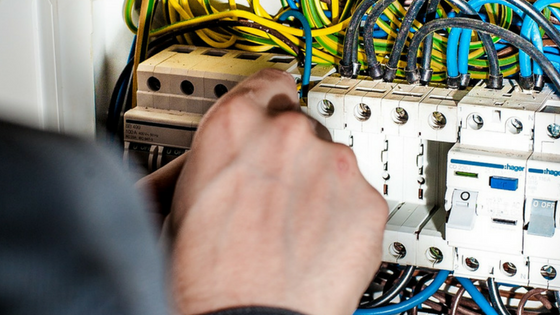 We can perform assessments and diagnostics for any critical electrical component and put forward a plan of action to repair or replace it before it turns into a more serious issue. See our complete list of electrical services here. When you choose Markey Electric and Solar as your electrical maintenance service provider, you can be sure that your business is in good hands. You can depend on our expertise, trust, and professionalism to get the job done right. Want to speak with us? Contact us for more information.